> 1000 – The Hampstead Project is a commission for the Marie Curie Hospice in Hampstead. 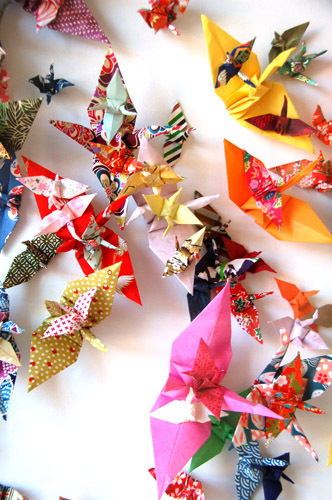 By folding 1000 origami birds Nina Rodin continues a Japanese tradition whereby – when someone is unwell – friends and family make 1,000 paper birds and throw them into the air to bring better health. 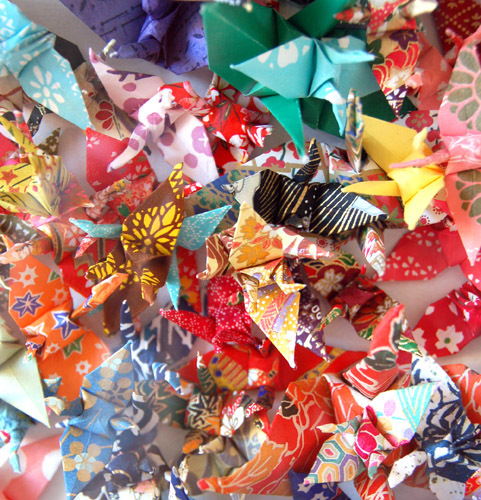 > The tradition came to light most clearly in the West when, in the aftermath of the bombing of Hiroshima and Nagasaki, a young girl who contracted leukaemia started to make her own origami birds. 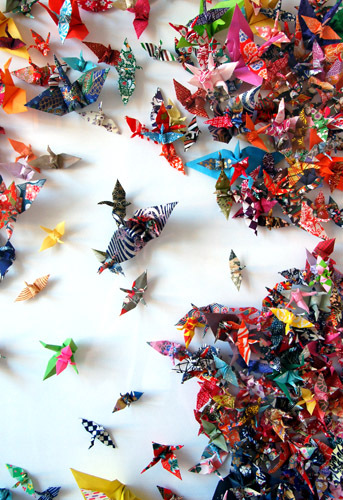 She folded the birds from wrapping paper – any paper she could get – and made more than 500 before she died. In Western countries, this custom has been extended to giving a senbazuru to cancer patients. 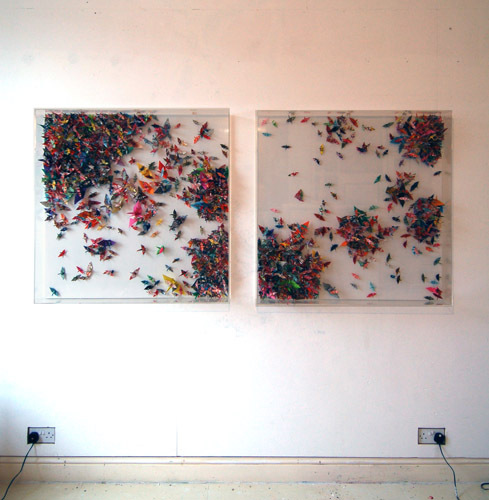 > Staff and patients at Marie Curie took part in folding the birds, which were then arranged and mounted in two clear perspex box frames. They will go on display in the refurbished cafe of the hospice shortly.